This pathway provides guidance on the imaging of adult male patients with a scrotal mass. 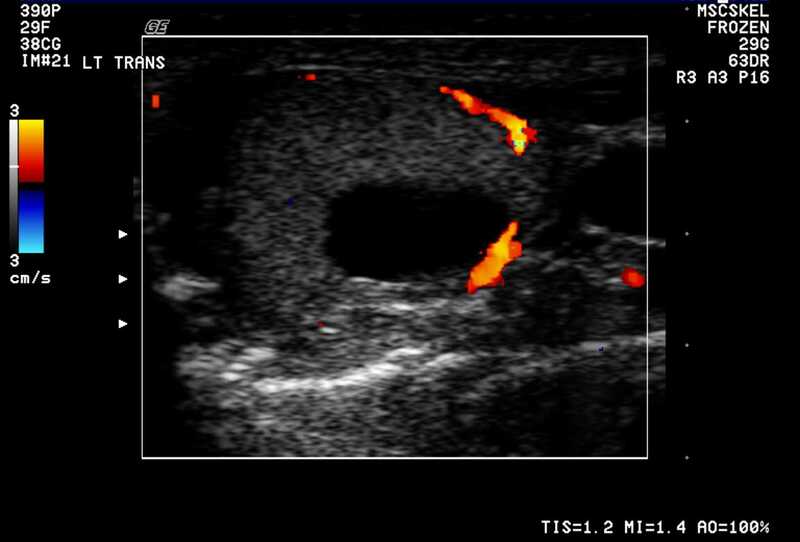 Image 1 (Ultrasound): Left testicular cyst with no discernable wall or flow. 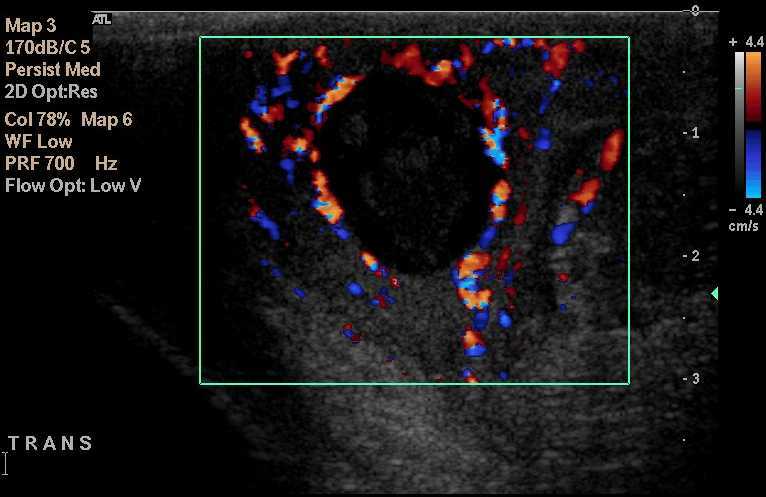 Image 2 (Ultrasound): Solid and cystic lesion with thick walls and marked vascularity in some areas. The appearances are consistent with a tumour. 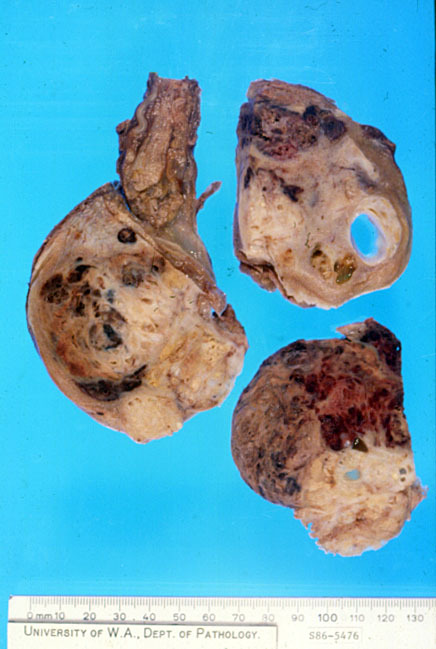 Image 3a: Orchidectomy specimen showing complete replacement of the normal testicular parenchyma with the classical "cut-potato" appearance of a seminoma. The tunica albuginea is intact. 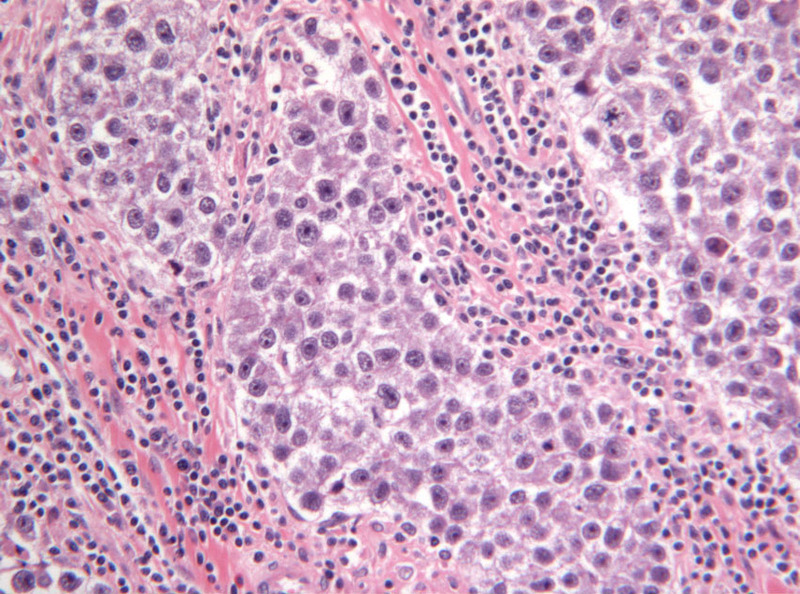 3b Image 3b (H&E, x2.5): Histological section of a seminoma showing groups of malignant cells with large nuclei and prominent nucleoli. There are also intervening fibrous bands with an infiltrate of lymphocytes and plasma cells. Image 4a (H&E, x2.5): Orchidectomy specimen showing a teratoma with areas of cyst formation and haemorrhage. 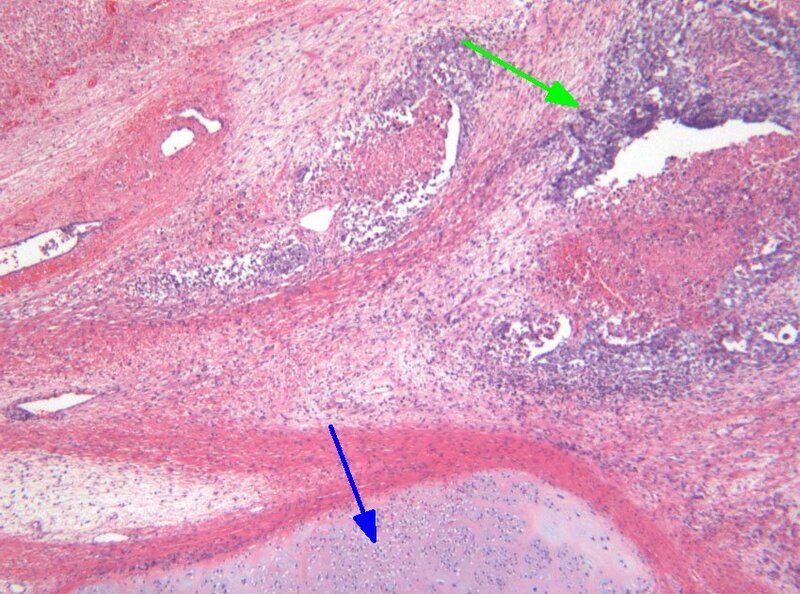 4b Image 4b (H&E, x2.5): Histological section of a teratoma (non-seminomatous germ cell tumour) showing hyaline cartilage and islands of columnar epithelium. 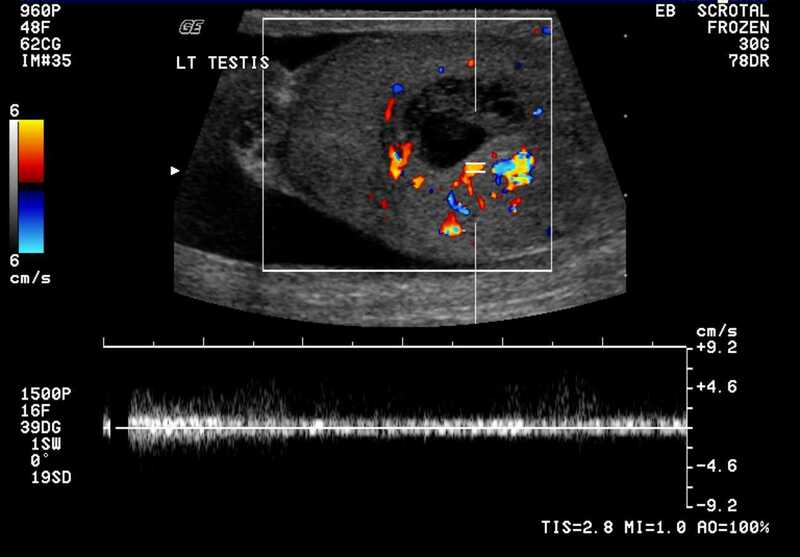 Image 5 (Ultrasound): A central mass lesion is located superficially and in the midline towards the inferior pole of the scrotum. It has a low echogenic rim but contains echogenic material with no discernable flow within the lesion. There is inflammation of the surrounding tissues.